A few months ago I wrote 5 Walt Disney World Restaurants Worth Skipping. Out of the 5 restaurants that I listed, Sci-Fi Dine-In Theater was number 5. At the time that I wrote this list, there was nothing that I liked about this restaurant. 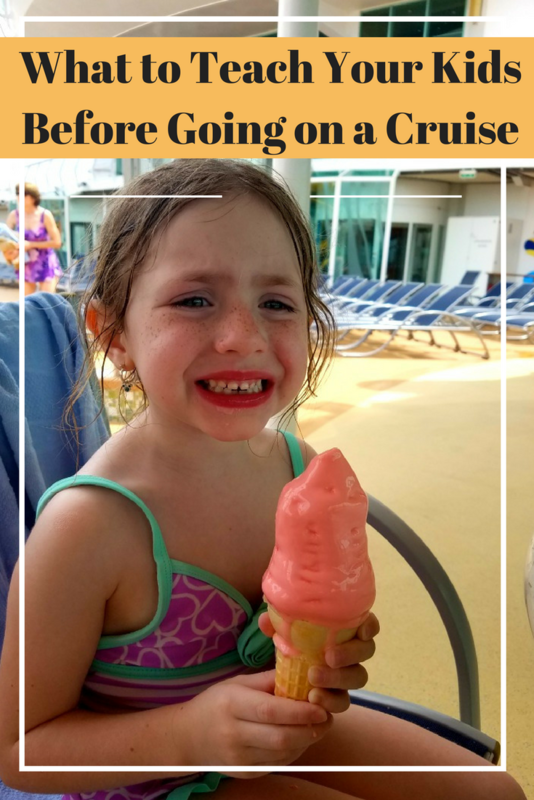 For the price that we paid, the food was sub-par, the atmosphere was not as fun as it should be for Disney and the staff was nothing special. 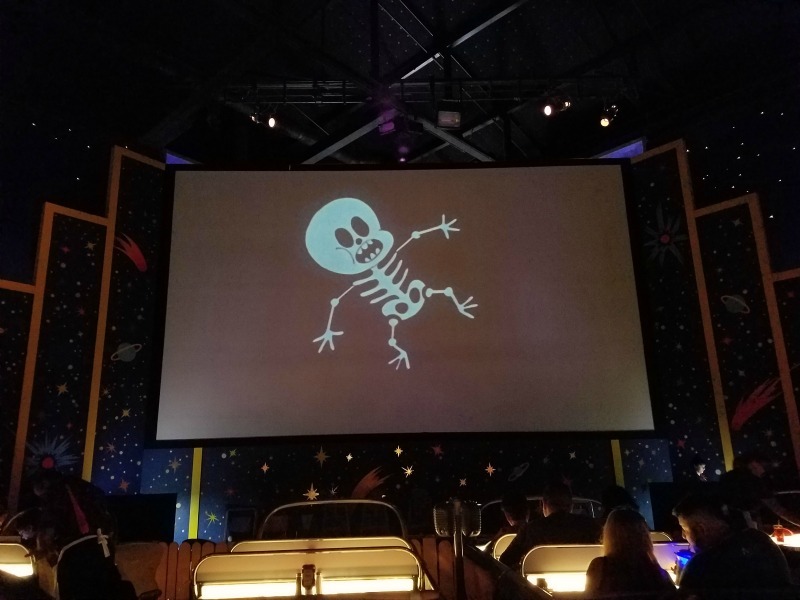 Fast forward to a few years later, my family and I tried Sci-Fi Dine -In Theater again and had an entirely different experience. 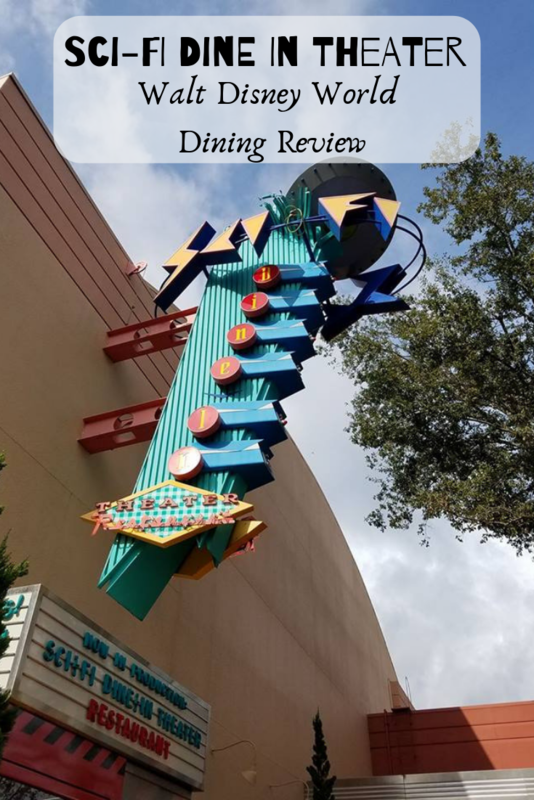 For fun and to help anyone trying to choose where to eat, here is my Sci-Fi Dine-In Theater at Walt Disney World Dining Review. After the first time that my family ate at Sci-Fi Dine-In Theater, I swore that I would never eat there again. 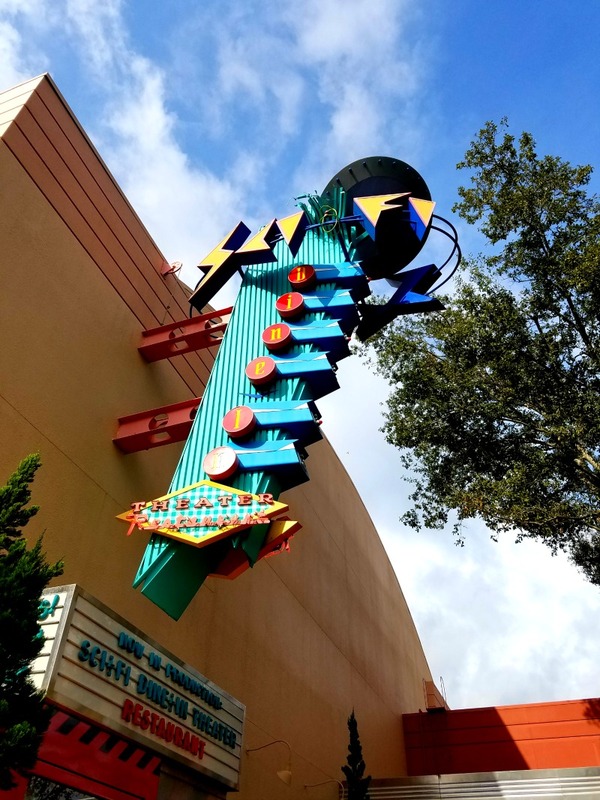 I did not want to experience what I experienced there again and I definitely did not want to spend my hard earned money there, but on this day, Sci-Fi Dine-In Theater was our only option. I will tell you that I was not happy and I threw a mini Disney fit. My husband reassured me that it would be okay and that if it wasn’t good, that it still wouldn’t be here. I wasn’t buying it, but have to say that I was glad I was forced to try it again. When you walk into the Sci-Fi Dine-In Theater the first thing you will see is the check-in stand and a bench to wait on. Once your ‘car’ is ready you will be brought back to the eating area where it will be very dark and Sci-Fi movie clips will be played on a big screen. There are 50’s inspired cars along with tables around the drive in. Since we did not have reservations, we were given a table which I enjoyed better since I knew I would be getting up constantly to help my kids or taking them to the bathroom. In addition, I like having someone across from me while I eat; it makes sharing food easier. The service at Sci-Fi was perfect. We had a huge party, so 2 waitresses were assigned to us. They were on top of our refills, got our order perfect and made sure everyone had what they needed. 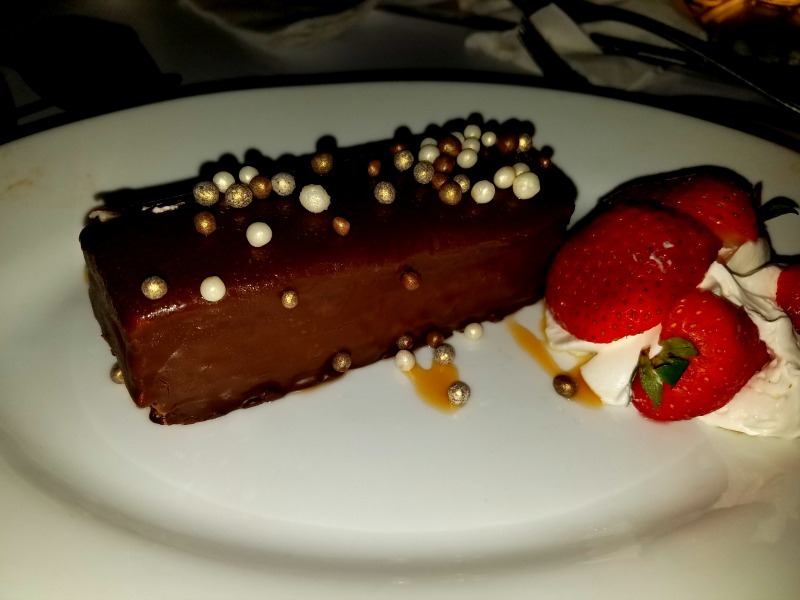 Since we were on the Deluxe Dining Plan, we were able to order a lot of food and taste a large variety of different meals and desserts. Here is a breakdown of a few things that we ordered and what we thought. 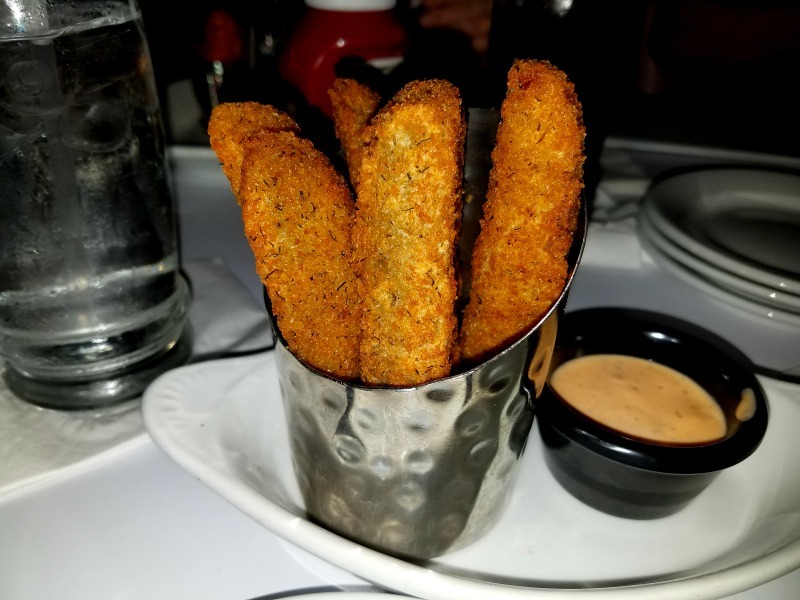 Fried Dill Pickles– These were so good and they were enough for at least 3 people. They were served hot and were golden and has the perfect crunch. 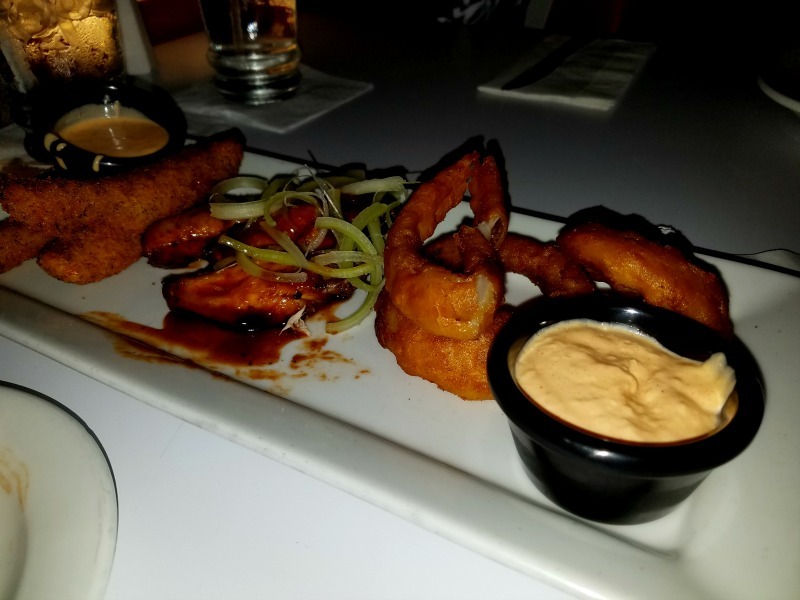 Sci- Fi Appetizer Sampler– This is the perfect appetizer because you get the best of 3 amazing appetizers. Everything on this plate was so good. The dip was a tad spicy for me but my husband loved it and saved it for his french fries that were coming with lunch. Spinach and Artichoke Dip- My son got this and he could not keep the adults away from it. It was so good and we all wished we had ordered more. 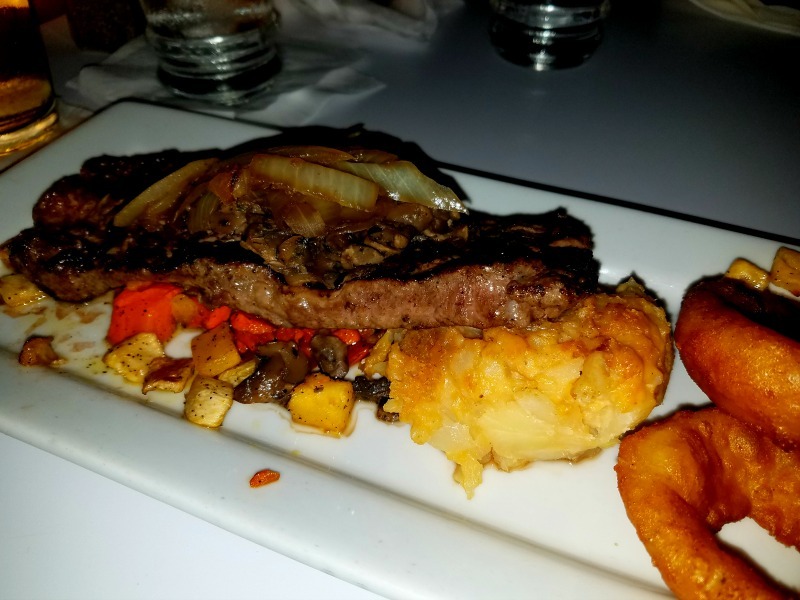 Flame-broiled New York Strip Steak- Two members of our party ordered this and everyone else at the table ended up wishing they had. This meal selection was amazing and cooked to perfection. 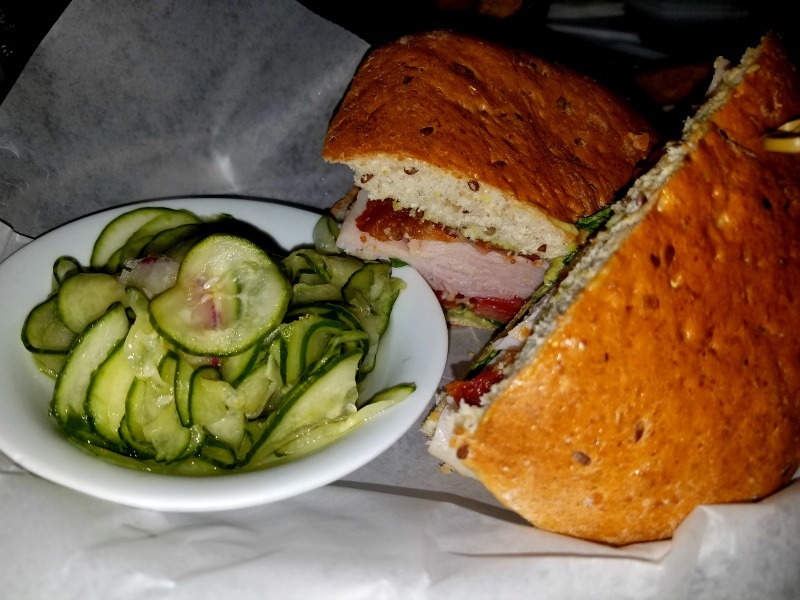 Grilled Chicken BLT Sandwich- Since we were using the Deluxe Dining Plan, I wanted to try and choose a healthier food option. Sadly, I was not satisfied with my entree. There was nothing that made me say ‘Oh, I will have to get this again’. I basically picked it apart and ate the bacon. In addition, the side item was gross. 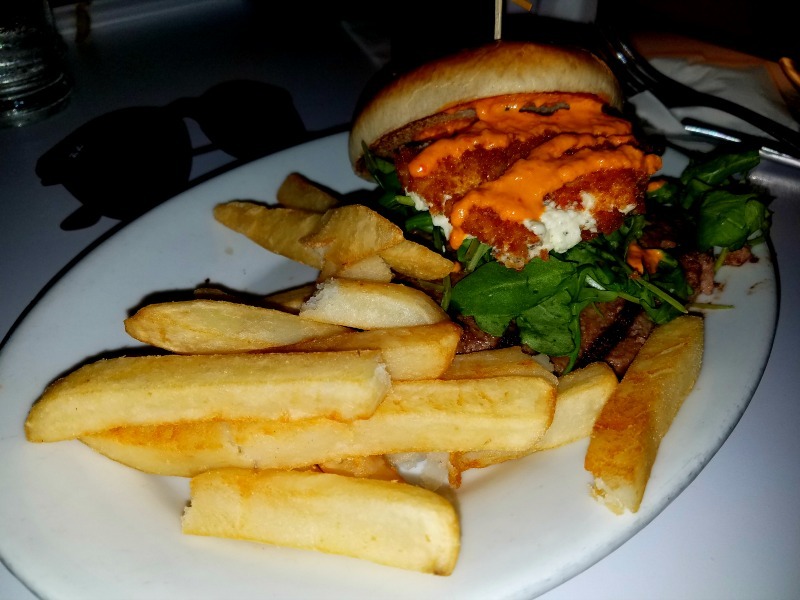 Sci-Fi Seasonal Specialty Burger- Two members of our party ordered this and they loved it. House-made Sci-Fi Candy Bar- This was amazing! Warm Glazed Doughnut- This was good, but it was too sweet. If we had not eaten anything and our stomachs were empty, this would have been a great choice. Out-of-This-World Turtle Cheesecake- Oh my gosh, can I have another one, please! This was my favorite dessert. Milk Shake– It’s good, but I recommend that you put it in a to-go cup. 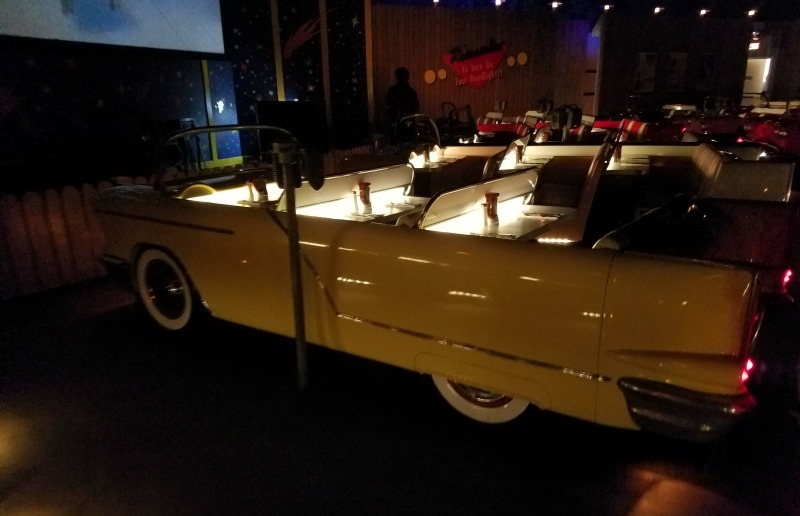 Sci-Fi Dine-In Theater at Walt Disney World gave my family a great dining experience. The prices were Disney reasonable and most of the food was on point. I am very happy that I tried this restaurant again and I will definitely make a reservation the next time that my family visits Walt Disney World. 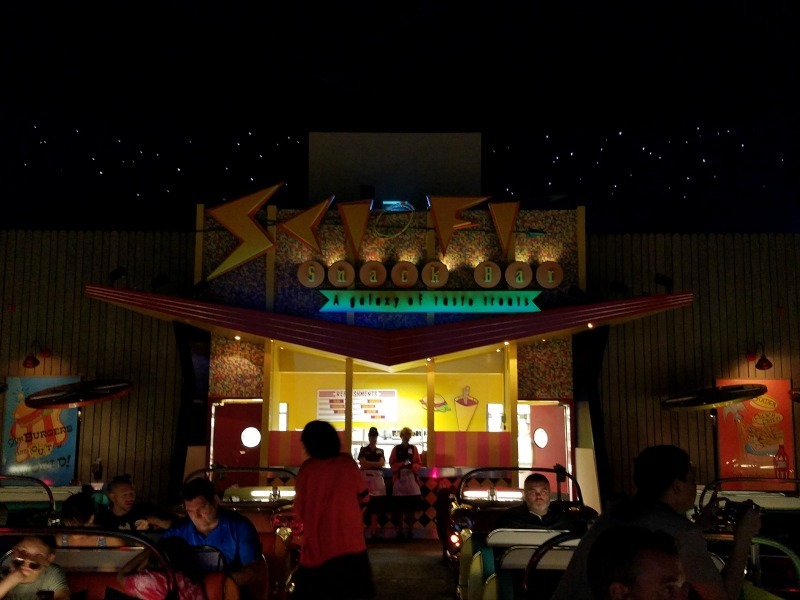 Have you eaten at Sci-Fi Dine-In Theater? What did you think? My family and I have not dined at Sci-Fi but it is on the list of restaurants for us to try. 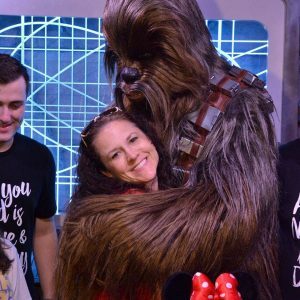 Disney (in my experience) has always gone above and beyond to ensure guest satisfaction. Did you mention you were not happy with your entrée? I only say this because I am sure they would have brought you something else instead. We had a group who didn’t speak English take our table when we were called at Liberty Tree Tavern and when we asked what happened to our table, they realized what had happened. They quickly sat us at another table, were extremely apologetic and brought my 5 year old one of the special light-up mermaid toys for free. We only had to wait 5 minutes for the new table but they went above and beyond with our table service. You know, I did not complain because we already had SO much food since we were on the dining plan. At this point, I have to agree! I used to hate it but they changed. It’s not my favorite atmosphere but the food was spot on.